I have to admit that although I’m the author of an ebook, up until fairly recently I never really read ebooks. It wasn’t so much that I was against ebooks, or e-readers, I just tended to read on paper. I owned a Nook, originally given to my partner, but when scouring for the next novel to devour I nearly always sought out the paperback. Possibly this was because we always have a growing stack of paperbacks in our living room, waiting to be read. Or, possibly this is because I grew up without the internet. The idea of searching a device, as I would search the internet, somehow seemed contrary to the experience I was after. But, recently, I’ve been doing at least half of my reading on the Nook. Why? Since becoming more involved in the world of social media I’ve discovered a number of amazing authors whose books are only available as ebooks (or for a significantly lower price than the paperback). Also, with an ebook, I can begin reading right away and don’t have to wait for the book to be delivered (a major bonus in my opinion). The Nook is light and easy to handle, making it ideal for carrying about in my bag. Also, the touchscreen is not over-sensitive and it has a handy glow light for when I’m in a dark place and can’t turn the light on to read. All features that make me love my Nook. However, many of the ebooks I long to read are only available as Kindle files. This means I have had to use a special software to convert the files from Mobi (what Kindle uses) to Epub (what Nook uses). It means that it is not an instant process (for most books, anyway) and after converting a mere ten ebook files they are asking me to pay for the use of their software. Even though the Nook is already paid for! This brings me to the real point of this post: which of the e-readers is the best, in your opinion? From what I’ve read, it seems that Kindle is the most widely used e-reader. But I know that some people use Kobo, or Nexus. What are the pros and cons of these other readers? And what about Kindle? Do you use a Kindle Paperwhite, Kindle Fire or…? I know some of these readers double up as computers, allowing you to go on the internet or save Word files. I can see how that might be handy, but I would prefer something which is mainly for reading on (I tend to use my laptop for the internet and relish the ability to escape into a book). I’m trying to decide if I should pay for the conversion software (or try a new free trial of another one) or just treat myself to a new e-reader once I have the funds available. I have heard so many good things about Kindle that I have to admit to being tempted. 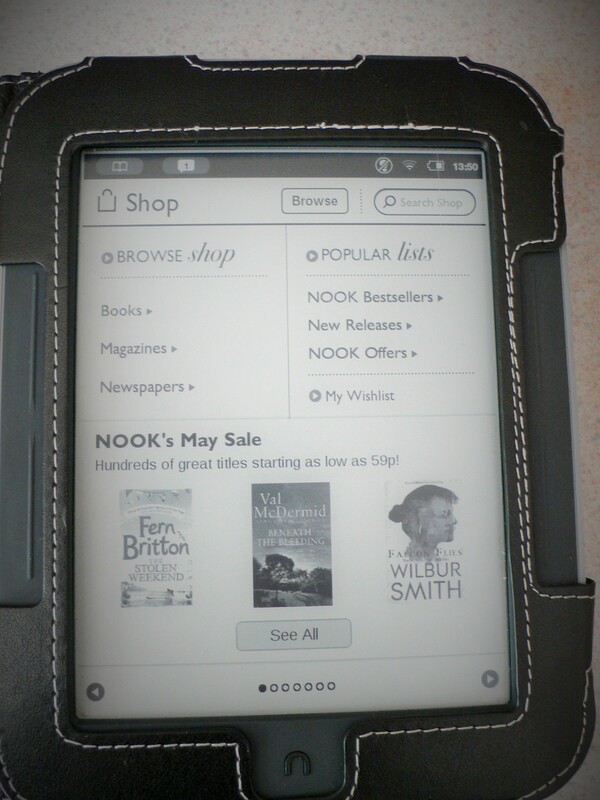 Great blog post… I have never owned the Nook e-reader, but have heard of it… I have the kindle. My first kindle the keyboard version is amazing and was a pleasure to read from. It didn’t have a back light but it felt very close to reading on paper and was easy to use to find book and read them. I also enjoyed the text to speech as at times when wanting to sleep but needing some noise I would let it read books to me that I had read. I still have that kindle but she has become old and a bit tried over the years. So for my birthday I got the pink Kindle fire HD. I find this kindle to be very different I can read in the dark, change the background and type face on it and see the covers in colour. It also has text to speech and the library app works on it as well. I find reading books pretty easy on it and reading my own work as a document is simple and the notes are easy to find and put into my work later. I think there is a place for paperback books and e-reader, well in my house there is. I love reading so if I don’t want to wait for the book or want to read a midnight on a moment’s notice, out comes the kindle, if I want to wait or it’s a favourite book paperback is where I go.. Another good thing about the kindle fire is if you are reading a kids book with images in, to a kid, they can see them in the colour etc they are. I really enjoyed your blog post.. I hope you’re having a fantastic week..
Hi Katie, Thanks so much for your comment and helpful suggestions. Your Kindle Fire sounds like a great device, and one which I’ll definitely investigate further.It must be nice to be able to read your own work on it too. 🙂 I’ll let you know what I decide!